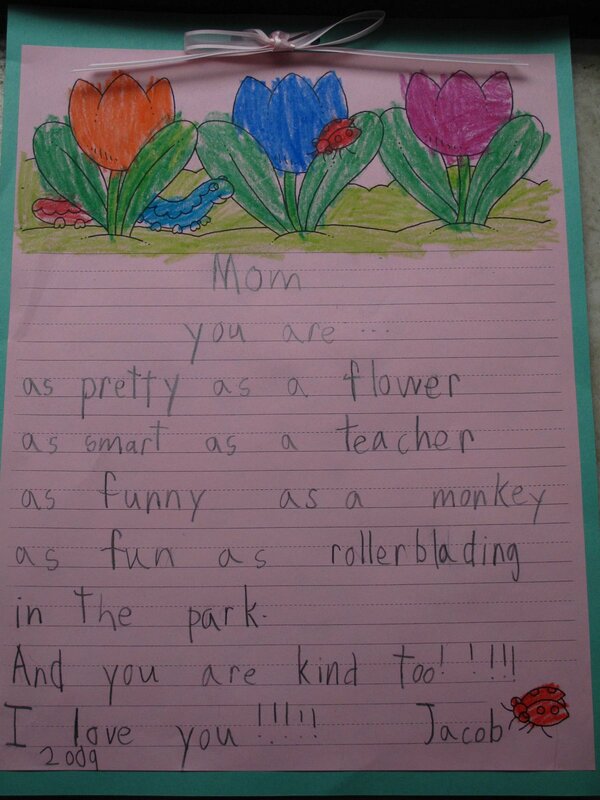 This is what I got from my 7-year-old for Mother’s Day. He said everyone had to add the line about being kind; I wonder if he would have included that about me. I am most flattered that he thinks I’m funny.